Yonkers Masters is an U.S. Masters swim team that is based in lower Westchester. Our adult swim team team is comprised of fitness swimmers, triathletes and serious competitors. Ages of the members of our team range from their early 20's to mid 70's. 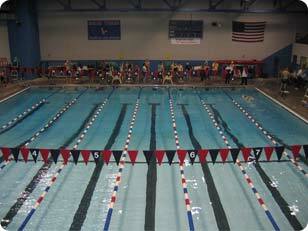 Formed since 2001, the team practices at the Mark Twain Pool Complex in Yonkers. Registration for Yonkers Masters is on going. Please contact Andrea Velazquez for more details. Click here to register for Yonkers Masters. Remember to join Yonkers Masters you must also register with USMS. We encourage the whole team to enter the "Go the Distance" fitness event. There is no cost to enter this event. By entering "Go the Distance" you can start to utilize the new FLOG feature of the "My USMS" section of the website. You will find FLOGS can be used to track all of your fitness activities. It's a great way to stay motivated! All Contents Copright © 2018 Yonkers Masters Swim Team. All Rights Reserved.